We know that the world of online distribution is a complex one and it is easy to feel overwhelmed by all the different options. Which is why we focus on the most important channels and what you can start doing right now to get them firing on all cylinders. 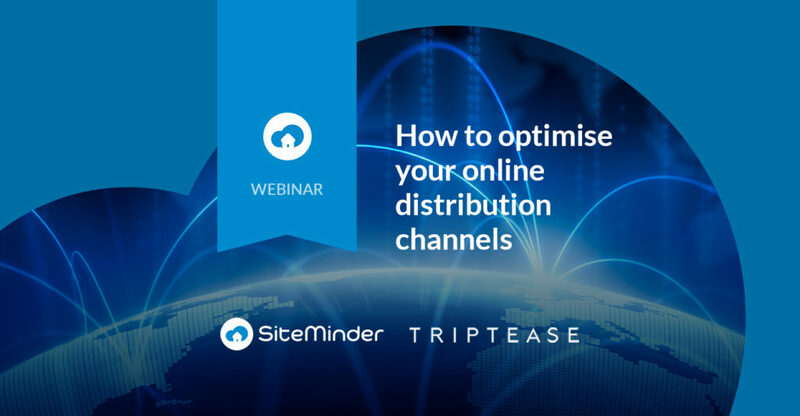 Triptease and SiteMinder teamed up to bring you an insightful webinar to discuss how hoteliers can optimise their online distribution channels. How to get the best from online travel agents – Why you should have OTA partnerships and how to make these partnerships successful. How to focus effectively on direct bookings – Why you cannot afford to miss out on direct bookings and the three things you should start doing now to boost them.